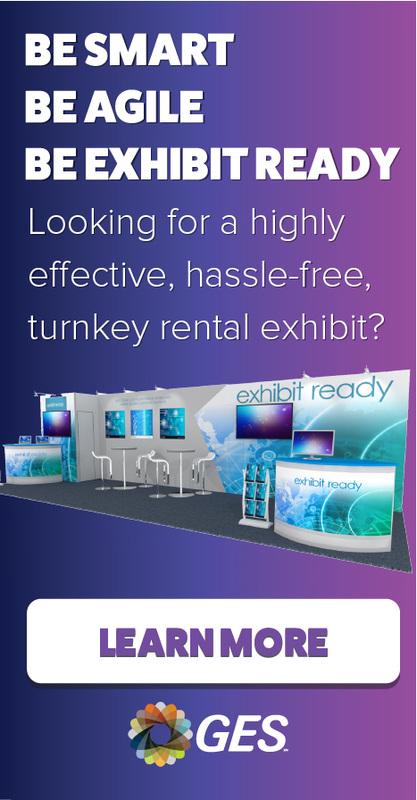 New for 2017 - Clean Floor Policy - Exhibitors occupying 500 sq. ft. or higher must have all of their empty crates tagged with the appropriate empty labels by Sunday, January 29, 2017 at 4:30 pm, if not a $25 per crate surcharge will apply (job dollies excluded). Wednesday, January 25, 2017 1:00 PM To 6:00 PM Please check for your specific assigned freight arrival date. Thursday, January 26, 2017 7:00 AM To 6:00 PM Please check for your specific assigned freight arrival date. Friday, January 27, 2017 7:00 AM To 6:00 PM Please check for your specific assigned freight arrival date. Saturday, January 28, 2017 7:00 AM To 6:00 PM Please check for your specific assigned freight arrival date. Sunday, January 29, 2017 7:00 AM To 6:00 PM Please check for your specific assigned freight arrival date. Monday, January 30, 2017 7:00 AM To 6:00 PM Please check for your specific assigned freight arrival date. Thursday, February 2, 2017 3:00 PM To 10:00 PM Please check for your specific assigned freight removal date. Friday, February 3, 2017 7:00 AM To 8:00 PM Please check for your specific assigned freight removal date. Saturday, February 4, 2017 7:00 AM To 4:00 PM Please check for your specific assigned freight removal date. Please Note: Shipments arriving before Tuesday, December 27, 2016 will incur a storage fee, and shipments arriving after Friday, January 20, 2017 will incur a Late to Warehouse Fee. Wednesday, January 25, 2017 1:00 PM To 6:00 PM Reference Targeted Floorplan for Dates & Times. Thursday, January 26, 2017 7:00 AM To 6:00 PM Reference Targeted Floorplan for Dates & Times. Friday, January 27, 2017 7:00 AM To 6:00 PM Reference Targeted Floorplan for Dates & Times. Saturday, January 28, 2017 7:00 AM To 6:00 PM Reference Targeted Floorplan for Dates & Times. Sunday, January 29, 2017 7:00 AM To 6:00 PM Reference Targeted Floorplan for Dates & Times. Monday, January 30, 2017 7:00 AM To 6:00 PM Reference Targeted Floorplan for Dates & Times. 1/25/2017 1:00 PM To 6:00 PM Reference Targeted Floorplan for Dates & Times. 1/26/2017 7:00 AM To 6:00 PM Reference Targeted Floorplan for Dates & Times. 1/27/2017 7:00 AM To 6:00 PM Reference Targeted Floorplan for Dates & Times. 1/28/2017 7:00 AM To 6:00 PM Reference Targeted Floorplan for Dates & Times. 1/29/2017 7:00 AM To 6:00 PM Reference Targeted Floorplan for Dates & Times. 1/30/2017 7:00 AM To 6:00 PM Reference Targeted Floorplan for Dates & Times.